1. Stop over-thinking. You will never have all the answers to all of life’s issues and mysteries. You cannot fix everyone and everything. Remember you can not pour into someone else’s life if you are empty, sick, tired, financially burdened, sad and overwhelmed. If you have the responsibility of parenting, care giving for the sick or elderly, your staff, team, ministry… delegate, ask for help, take frequent breaks to decompress and refuel your mind, body and soul. 2. Know that “no” is a complete sentence. You will burn out with exhaustion, resentment and sickness if you are a people pleaser, doormat, enabler, fixer go-to-person and silent sufferer. 4. Comparing yourself to others creates depression, self-loathing and envy. Facebook is great and it’s fun and healthy to be social. And if you have an online business, it’s priceless. Facebook is like an advertising campaign for everyone’s life. It’s all shiny, sparkly and well-crafted to present the best. Too much scanning can cause depression and feelings of inadequacy. 5. Create joyful rituals and activities. Find ways to develop your skills, talents, and interests. Even if your time and money are limited…make a promise to yourself to carve out some time in small increments to just “do you” …until you have more time and money for the extra perks of massages, travel, classes, etc. 7. Be dedicated to upgrading your nutrition and drinking more water. We fill our bodies with so much sugar, fast, frozen, fried and fatty foods, microwaved foods, hormones, chemicals and pesticides and that support awful places like factory farms. Whether you’re an animal person or not, eating more from the earth and less from the factories lightens both your plate, your arteries, and your spirit. Consider watching Forks Over Knives . 8. Regular exercise can transform your life and add years to your life span. Move your body. Walk more. Find parking spaces further away from your store and walk. When you sit too much (e.g. TV, computer, sedentary work place) you will start to rust. 10. Unplug. ..no emails, internet, smart phone, nothing for regular intervals. We are turning into an ADD society, jumping from one distraction to another. Unplug regularly or you’ll burn out your emotional hardware. Create sacred spaces in your home and de-clutter. Do more of the things that make you laugh and feel safe, loved and alive (e.g. comedy club, concerts, sitting on the floor with your children/grandchildren, cooking, dancing, painting, crafts, pets, gardening, volunteer work, etc. 11. You have a right to your feelings. But you don’t have to act out on your feelings of anger, fear or self-loathing. Let those feelings come and go like an ocean wave. If you suppress your authentic feelings eventually they will resurface in an unhealthy way at the wrong time and to the wrong person. Seek counseling support to heal from past trauma. Read my book Wisdom for Women. Pray, exhale, meditate, go for a walk, listen to inspiring music or inspiring messages, write in your journal, call or visit a good friend, fast, change your routine, seek counseling or life coaching, etc. 12. Love and embrace your idiosyncrasies, image, age, and body…flaws and all. Be aware of your self-talk and sabotaging behavior. Walk in your truth. Be courageous enough to honor your choices, core values, body, time, and truth… or you will suffer in self-betrayal and the little lies that eat away at your soul. Lovingly self-correct without harsh judgment. Forgive yourself for past choices. Don’t be so intense about your life that you miss the joy, grace, blessings and beauty of life. Don’t downplay and diminish your strengths, gifts, purpose and uniqueness. Acknowledge your accomplishments. Be open, curious and ready to grow in every area of your life. To schedule your one-on-one life coaching/counseling session the Self-esteem Dr. 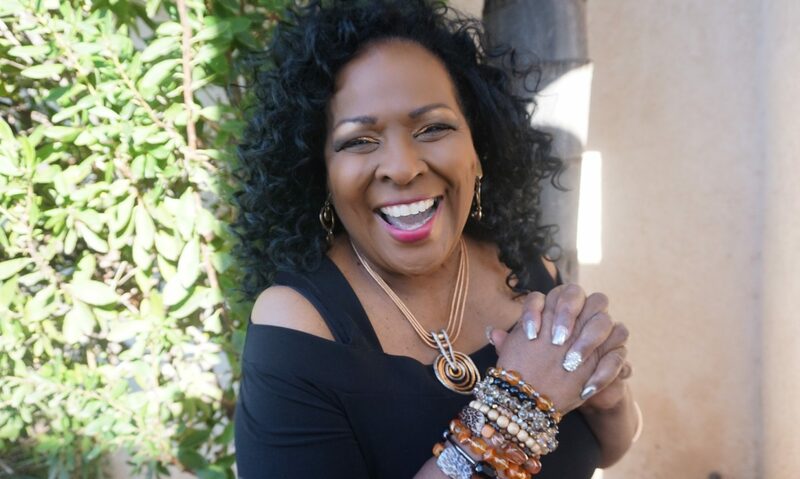 Jewel Diamond Taylor call 323.964.1736 or submit this quick inquiry below today. 2. Walking connects you with nature and community and raises your energy, frequency and vibration. You will meet neighbors and people walking their dogs and pushing strollers with happy babies. You will have a more intimate view and appreciation for trees, grass, mountains, rocks, leaves, water, changing of the seasons, etc. Walking raises your consciousness and allows for your spiritual communion and connection with the Creator. Being outdoors stimulates your mind, soul, spirit, creativity, sense of community and gratitude for life. Our culture is too sedentary. The more you rest… the more you will rust. Don’t become a tin man or tin woman growing stiff. 4. Walking lightens mood. A California State University, Long Beach, study showed that the more steps people took during the day, the better their moods were. Why? Walking releases natural pain ­killing endorphins to the body – one of the emotional benefits of exercise. 13. You are more than your physical body. When you move your body on a regular basis it helps to improve your emotional and mental state. Emotional wellness is a great benefit from walking. Many report a reduction of depression, sadness, stress and anxiety. 14. Walking shores up your bones. It can stop the loss of bone mass for those with osteoporosis, according to Michael A. Schwartz, MD, of Plancher Orthopedics & Sports Medicine in New York. In fact, a Brigham and Women’s Hospital, Boston, study of post-menopausal women found that 30 minutes of walking each day reduced their risk of hip fractures by 40 percent.